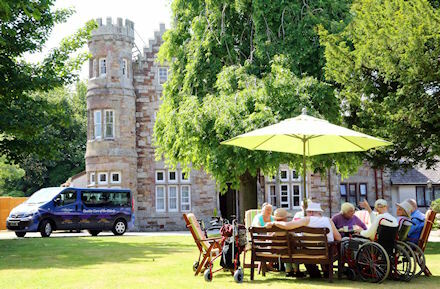 Philiphaugh Manor is one of the finest retirement homes in Cornwall, dedicated to providing quality living for ladies and gentlemen. 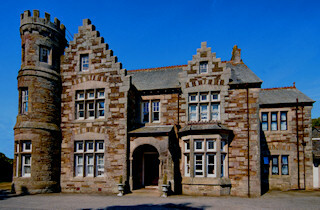 Philiphaugh Manor is a stunning, newly refurbished, Grade II listed building dating back to 1893. 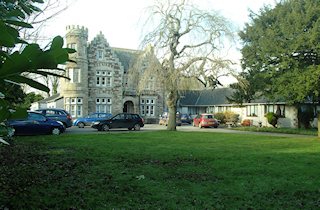 Philiphaugh provides a tranquil, relaxing and spacious environment within beautiful grounds, with the benefits of care assistance as needed from our trained friendly staff. 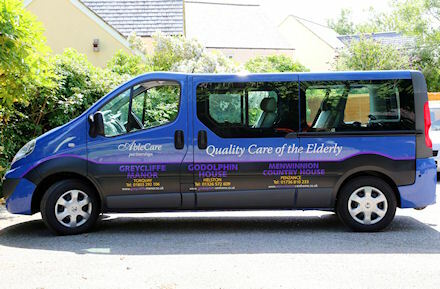 We have provided high quality residential care for the elderly since the 1980’s. The home, standing in its own spacious landscaped gardens, is within walking distance of the main shops and banks of St Columb Major. 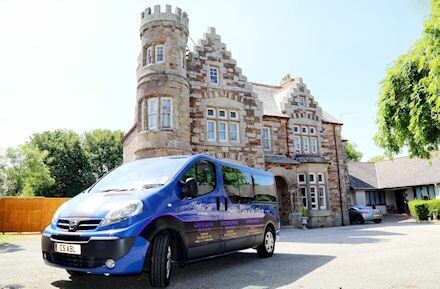 Just 4 miles from Newquay Airport and a short drive from the main A30, we offer free airport parking and transfers to the airport as part of a respite care package. We have magnificent views of the surrounding countryside. Our gardens and drives offer a safe environment for walking. There are numerous secluded areas in which to relax and enjoy the abundant flora and fauna. We have wireless emergency pendants that work throughout the grounds, so residents will always be able to call for help if needed. Our philosophy is to provide care based around each persons' needs and to promote their personal choices and preferences. Whatever the need, care is delivered with patience, kindness, discretion and understanding. Our Core Values of Care: Privacy – Dignity – Rights – Independence – Choice – Fulfilment – Security – Respect – Equality – FUN. 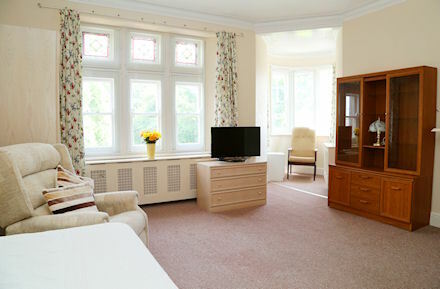 We guarantee to surpass your expectations of what you would expect from a Care Home. 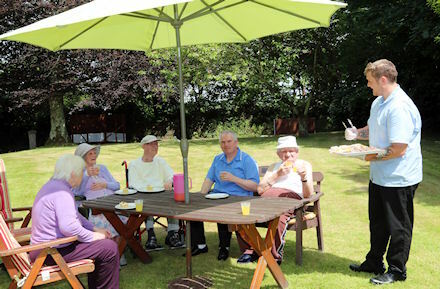 Most importantly, at Philiphaugh Manor Care Home, we never forget that life should be FUN!!! The refurbishment, modernisation and complete renaissance of Philiphaugh Manor, to our AbleCare 5 star quality rating, is already under way. Both stylish and thoughtful in design, our new Show Suite, with en-suite bathroom and wide screen TV, will be coming soon. The Courtyard suites and Penthouse rooms will be coming soon. Be the first to reserve a room from the first phase of refurbishment. To hear about new rooms as they’re released please either contact us or call 0800 - 699 0000 or 01637 - 880 520. 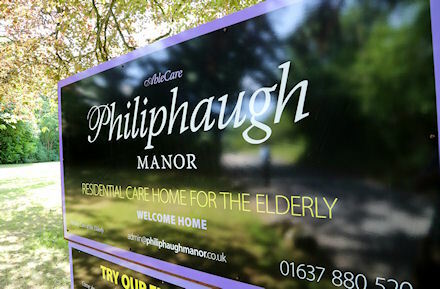 Philiphaugh Manor Care Home offers great access to the immediate amenities of St Columb and the nearby major town of Newquay. The bus stop for the Western Greyhound bus services to Truro, Wadebridge, Perranporth and Newquay is a mere 350 meters away and the British rail station is a little over 2 miles which connects to Newquay, Taunton, Bristol and beyond. 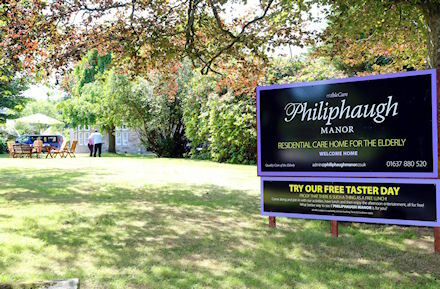 Philiphaugh Manor Care Home at St Columb Major is set within picturesque countryside and close to both coasts of central Cornwall. Please call us on 0800 - 699 0000 or 01637 - 880 520 or contact us to discuss your needs.